Taste of the Upper West Side is a large scale food tasting event proudly presented by the Columbus Avenue Business Improvement District. It is a much beloved neighborhood event that showcases the significance and scope of the Upper West Side’s culinary community. 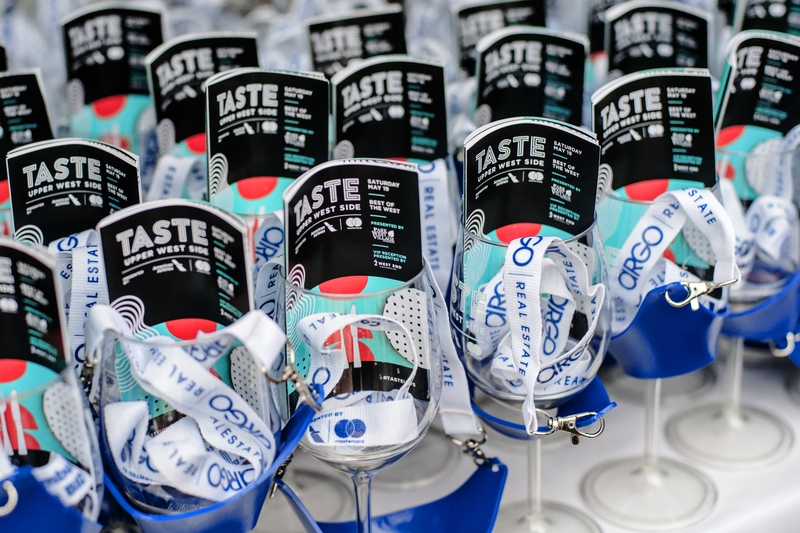 The event hosts over 80 chefs from the district’s best restaurants that serve tastings of their signature dishes. The event runs over two nights and attracts more then 3,500 guests. 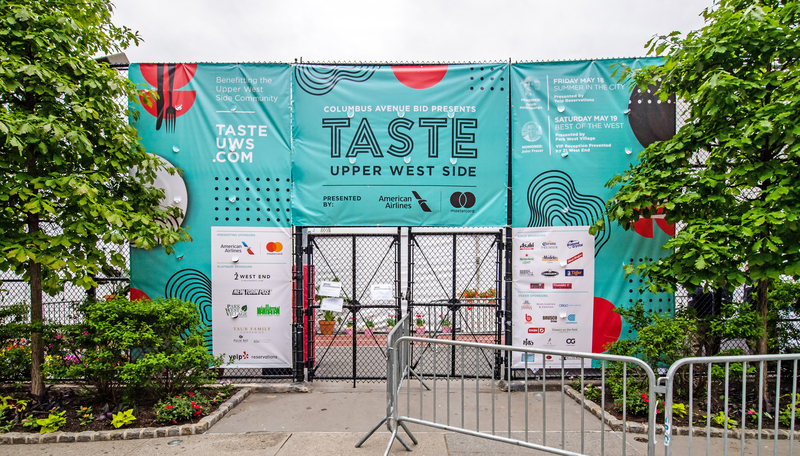 Taste of the Upper West Side strives to invite new restaurants each year, some that haven’t even opened yet, to give the community a chance to meet the chef and sample their foods. The range is deliciously diverse, and attendees will experience the wonderful cuisines of our area’s finest restaurateurs. Proceeds from this event go back into the community and help fund selected neighbourhood projects. 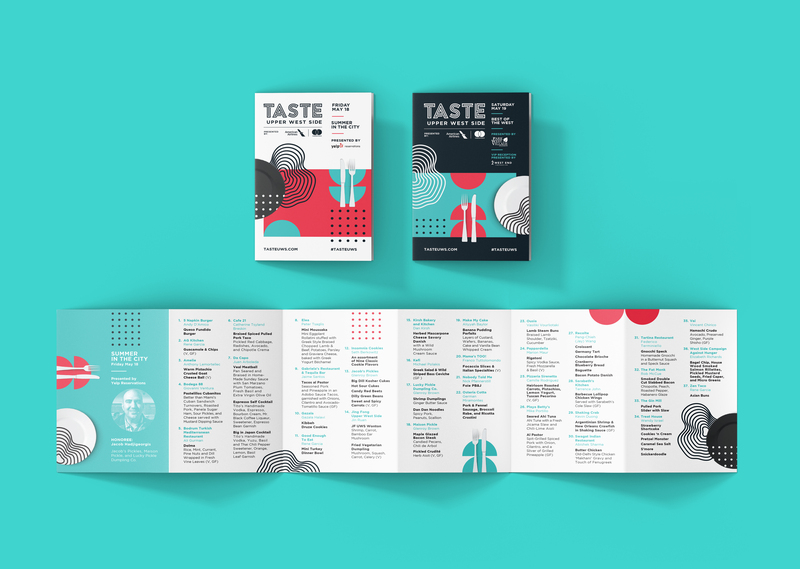 The brand identity for Taste of the Upper West Side is based on the concept "cooking/baking is as much a science as it is an art". The overall brand mimics the styling of an art exhibition and the graphics are inspired by abstract minimalism. The graphic elements are representative of the duality of precision and freedom within cooking/baking. The precise, ordered, regimented elements are illustrative of the mentality of perfect fine dining and science of baking. While the organic, unstructured wave elements speak more to the free, off recipe, artistic style of cooking. These opposing styles come together to create a beautiful harmony in their differences much like they do in cooking.